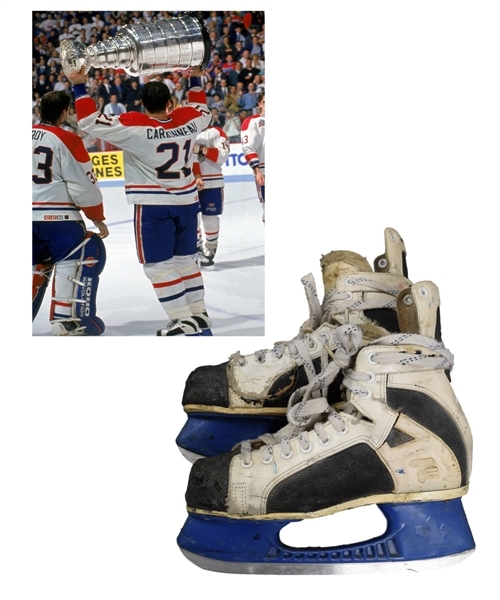 Lot Detail - Guy Carbonneau's 1992-93 Montreal Canadiens Stanley Cup Finals CCM Game-Worn Skates - Photo-Matched! 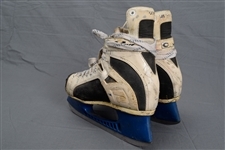 Guy Carbonneau's 1992-93 Montreal Canadiens Stanley Cup Finals CCM Game-Worn Skates - Photo-Matched! From an iconic moment in Stanley Cup history, we have the actual skates worn by Canadiens captain Guy Carbonneau as he hoisted Lord Stanley’s Cup over his head in the spring of 1993, and they’ve been photo-matched! 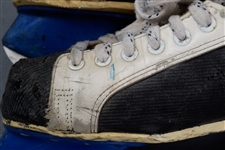 CCM Tacks, the skates show a ton of use with countless abrasions and wear along the sides, to the leather reinforcements and especially to the toe sections. 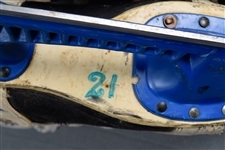 “21” has been added to the underside of the left skate in blue marker, while both retain their original laces. 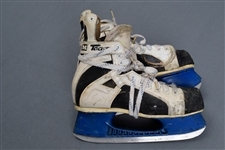 As mentioned, these important skates have been photo-matched. 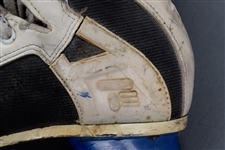 Getty image #71490150 from June 9th 1993 has been matched to a number of marks on both skates. 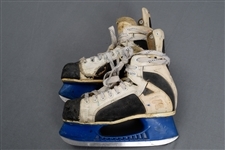 These highly desirable skates require placement in a prominent Canadiens or Stanley Cup collection. Auction closed on Wednesday, February 24, 2016.